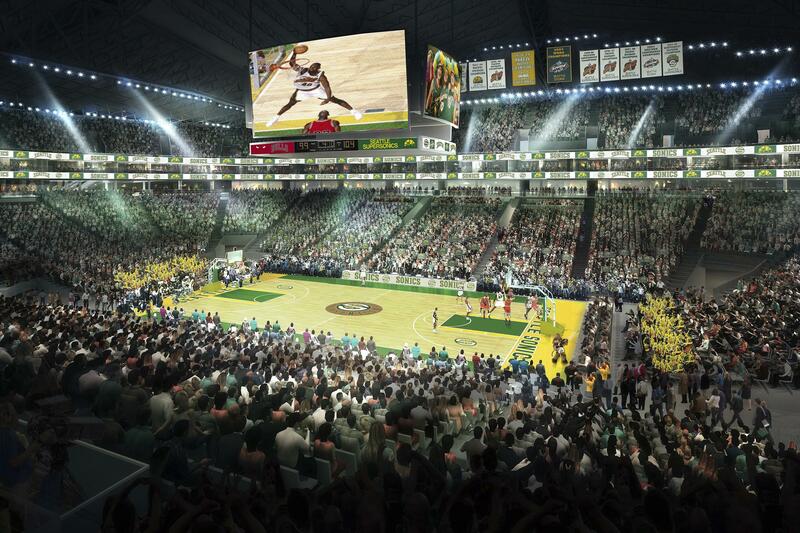 UPDATED: Wed., April 12, 2017, 7:20 p.m.
SEATTLE – Two arena companies have pitched multimillion-dollar plans to remake Seattle’s KeyArena into a premier entertainment venue that’s ready for an NBA or NHL team. Seattle had received two proposals ahead of Wednesday’s deadline for bids to renovate the 55-year-old city-owned facility. KeyArena was the former home of the SuperSonics before the basketball team bolted for Oklahoma City in 2008. Oak View Group has signed a contract with Delaware North, a concessionaire company owned by Jeremy Jacobs who is chairman of the NHL’s board of governors. Hudson Pacific is run by Victor Coleman, who has not hidden his desire to bring an NHL team to Seattle, KING-TV reported. A city advisory panel is expected to review KeyArena proposals and make a recommendation to Mayor Ed Murray in June. The city council would then decide whether to renovate KeyArena or go with a separate, new arena pitched for the city’s stadium district by Hansen, according to the Times. KeyArena, which opened its doors in 1962, was last renovated in 1995. It is home to WNBA’s Seattle Storm and hosts dozens of concerts and other events. It had about 570,000 visitors last year. Published: April 12, 2017, 4:52 p.m. Updated: April 12, 2017, 7:20 p.m.